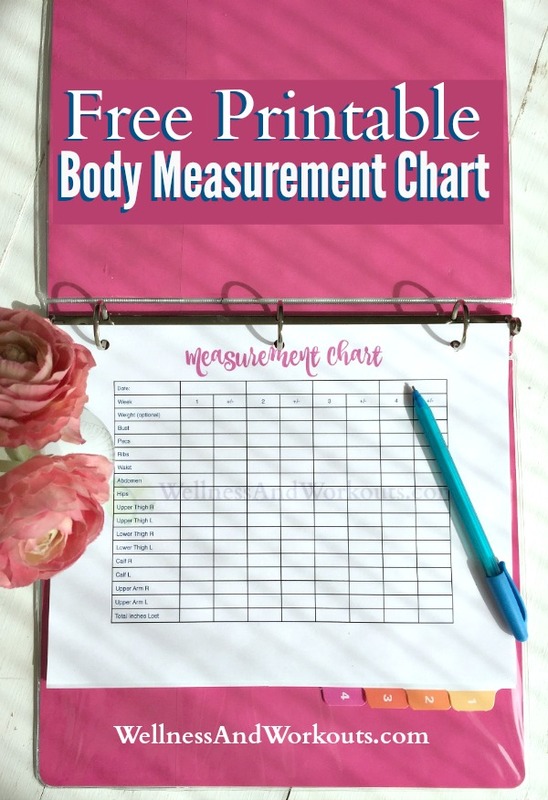 Look--a FREE Printable Body Measurement Chart! 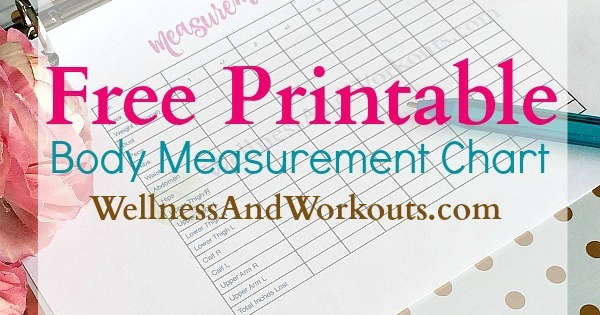 It’s practical and pretty – it’s a measurement chart printable! Workout Motivation you can Print! When you start using any workout, one of the most important ways to see if it is working for you is to track your results. Why? Tracking and writing down your measurements will help increase your motivation and will-power, motivating you continue with your workouts. Take your first set of measurements the day of your first workout, ideally before you work out. But just do it after, if you forget. Then, each week, re-measure to see how you are doing. And if you are faithfully doing workouts that are NOT giving you results, you need to know that, too. And then make the switch to T-Tapp! This is a powerful tool, one you will not want to skip when using T-Tapp workouts. Or any workout, really! If your workouts are working, you should know it. And changes for the better in your measurements do NOT always show on the scale. In fact, they often do NOT show on the scale. 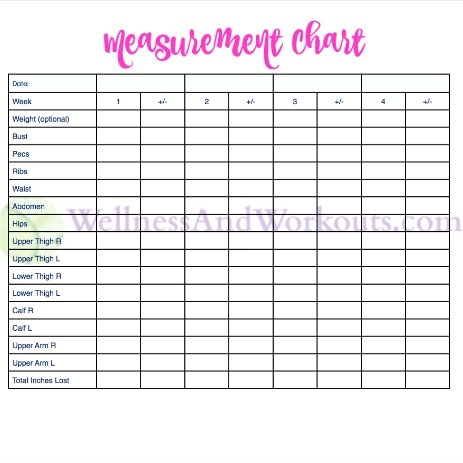 This chart will help you know when you are making real progress, even when you may not see the needle move on your scale! If there’s one thing that will help you stay motivated with T-Tapp, it’s to see your progress each week! Taking weekly measurements is what kept me going when I first started doing T-Tapp workouts, and lost 41 inches in just a few months. 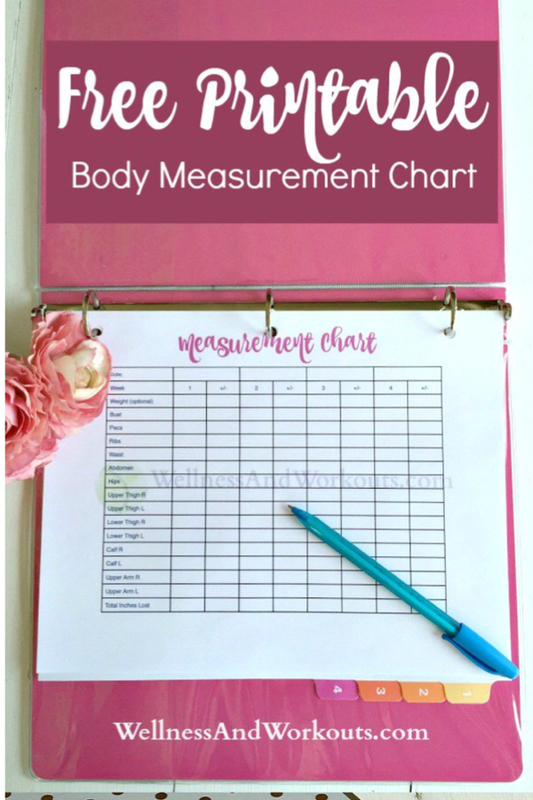 Why not make measurement taking more fun, by having a cute form to fill out?! 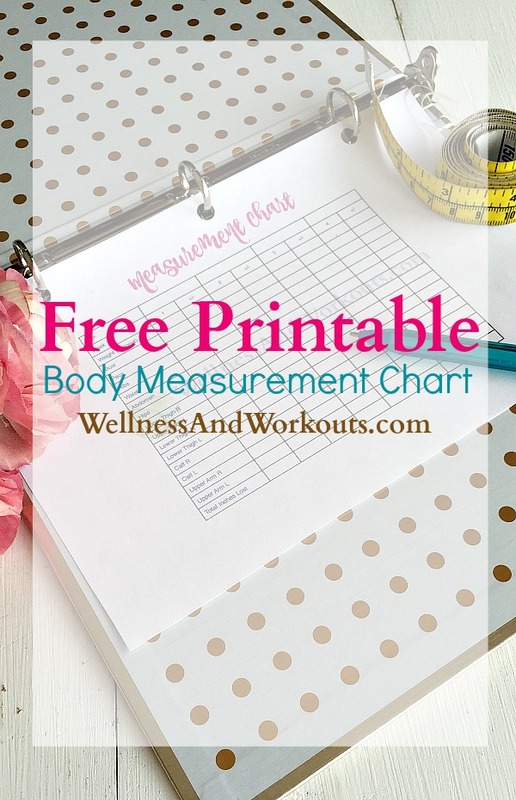 Click the button to get your Printable Body Measurement Chart now!